The new Chicago Fringe poster. - Some switch-ups at TUTA Theatre, as co-founders Zeljko Djukic and Jacqueline Stone change their roles. Djukic is moving to a position as Founding Director and Stone will become artistic director, all starting September 1. Djukic will be doing the Fulbright program in Serbia for the coming year, before he returns to TUTA upon its completion. - Emmy nominations were released this morning; Nina Metz pointed out that the bounty was particularly fruitful for Chicago comedy stars. Huzzah! 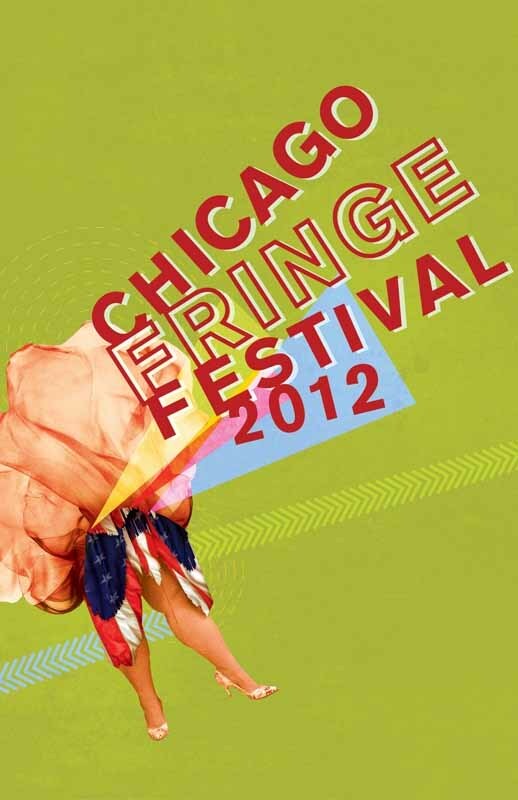 - The Chicago Fringe Festival&apos;s got a new poster by a new set of designers. Andrew Gen, Richard Hibbert and Maschell Cha they won an open contest for their designs to be used on marketing materials for the festival, which runs from August 30 to September 9. “Not only does Gen, Hibbert and Cha’s design capture the feel and energy of the Fringe Festival, it also allows us to reach beyond the performance community and involve another aspect of the artistic scene," said Executive Director Vinnie Lacey. The image fits well with our election year theme that Fringe is all about choice."